THE South African government’s Central Energy Fund (CEF), which is housed in the Department of Energy (DoE), would fund the African Exploration & Mining Finance Company’s (AEMFC’s) bid for Optimum Coal Mines, said BusinessLive, citing mines minister, Gwede Mantashe. In reply to a parliamentary question from the Democratic Alliance’s James Lorimer, Mantashe said AEMFC would contribute R500m. This would be towards post commencement funding (PCF) for Optimum Coal – funds provided to pay salaries and help the mine get back on its feet. The balance of the R1bn PCF would be supplied by Lurco, a privately-held coal mining company sourcing finance from a UK financier. Lurco already generates cash flow from coal mining in South Africa’s Mpumalanga province in business with South32. 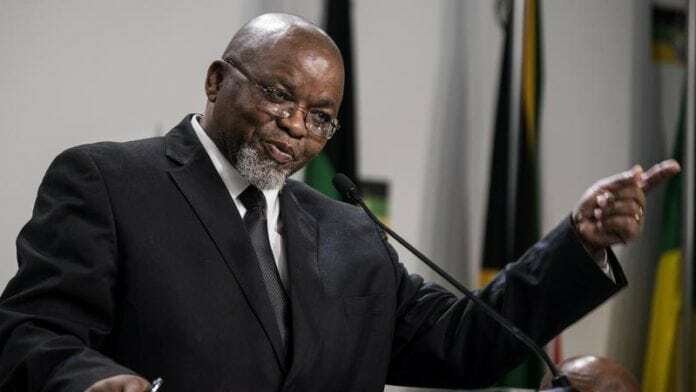 Mantashe told Parliament the money would come from a shareholders’ loan intended to be sourced from the CEF and subject to necessary Public Finance Management Act approvals being maintained. BusinessLive reported earlier with week that AEMFC had entered into a joint venture with Lurco over Optimum Coal without express approvals from either the National Treasury, not the DoE although the latter knew of AEMFC’s intentions. Lurco told the newspaper it thought the joint venture offer had met all formal approvals. Miningmx reported earlier this week that Lurco also intended to provide a PCF to Koornfontein which was part of Optimum Coal Holdings along with Optimum Coal Mine. This was after another bidding company, Project Halo, failed to provide proof that it had secured R200m to help recapitalise Koornfontein. Optimum and Koornfontein were previously owned by Tegeta Exploration & Resources, a subsidiary of Oakbay Resources which was listed on the Johannesburg Stock Exchange. Oakbay was owned by the Gupta family which have been implicated in widescale government related corruption currently the subject of the State Capture inquiry. My question is that,what is going to be happen to those who were work over are they going to take them all?